Marine Yang has focused her practice on capital markets, financial regulatory works, financing transactions and mergers and acquisitions. She is experienced in advising corporate governance, legal compliance, business restructure, and investment planning, joint venture and business cooperation issues. She is also acting as a lecturer for Taiwan Corporate Governance Association. She has substantial experience in representing foreign or PRC-based enterprises in making inbound investments and M&A transactions. 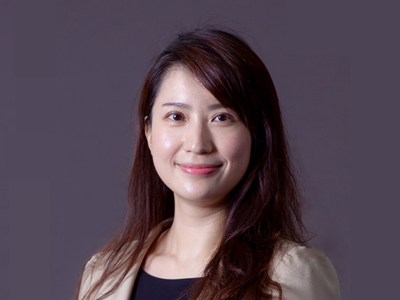 She has been active in advising well-known foreign corporates and banks in their fund-raising activities in the Taiwan capital market, including offerings of debt instruments (e.g., Formosa Bonds) and IPOs. She has in-depth knowledge and experience of financial regulatory framework and financing transactions and has a strong record in assisting in establishment of a local branch of a reputable international bank and equity financing in a high-profile M&A deal. Marine is also experienced in advising Taiwan public companies or Taiwan-based enterprises in their global offerings and listings. Marine was a senior attorney at Lee and Li, before joining Innovatus Law. She is fluent in Mandarin Chinese, English and Taiwanese. Represented SAC in its acquisition and divestment of Cosmos Bank (currently renamed as KGI Bank). Represented Forepi for the first PRC investment (San’an) and strategic alliance in LED industry. Represented Fosun Group’s equity investment in Vigor. Represented a Japanese manufacturing company for joint venture and equity investment in Taiwan. Represented PE funds from US for joint venture and equity investment in Taiwan. Represented PE funds from PRC for joint venture and equity investment in Taiwan. Represented foreign issuers including AT&T, Barclays, Credit Suisse, DBS Bank, Deutsche Bank, Goldman Sachs, Malayan Banking Berhad, Morgan Stanley, Nomura, Royal Bank of Canada, Standard Chartered, United Overseas Bank, Verizon Communications, etc. in their offerings of Formosa Bonds. Represented PRC banks including Agricultural Bank, Bank of Communication, Bank of China Limited, China Construction Bank, Industrial and Commercial Bank and China Merchants Bank in their offerings of CNY-denominated Formosa Bonds. Represented Fulgent Sun’s primany listing on the Taiwan Stock Exchange. Represented Yuanta Securities in its engagement in primary listings of TPK Holdings, Grand Ocean, and Eastern Technologies on the Taiwan Stock Exchange. Represented Mega Securities in its engagement in Parade Technologies’ primary listing on the GreTai Securities Market. Represented Credit Suisse in its establishment of Taiwan branch. Represented SAC for its syndication financing arranged by Bank of Taiwan for SAC’s acquisition in Cosmos Bank (currently renamed as KGI Bank). Represented ING Bank for its issuance of letter of credit as a guarantee for the issuance of ECBs by Neo Solar Power. Represented Taiwanese banks in disputes arising from Lehman bankruptcy. Represented Tenfu Group, Christine Group, Xiabu Xiabu Group in their respective Hong Kong IPO listings. Represented TPK’s offering of GDRs and ECBs. Represented Asia Cement’s offering of ECBs. Represented China Steel’s offering of GDRs. Represented Far Eastern International Bank’s offering of GDRs. Represented Parade Technologies’ offering of GDRs. Advised on Himax’s offering of ADRs. Represented Hon Hai Precision’s EMTN Programme establishment. Advised on TSMC’s offering of straight bonds through TSMC’s subsidiary.